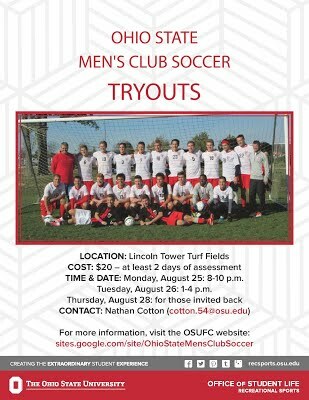 Tryouts will be held at the Lincoln Tower Park turf fields (behind the RPAC). There is a $20 tryout fee, which guarantees you two days of evaluation; selected players will be called back on Thursday for a final round. Wear a white t-shirt! 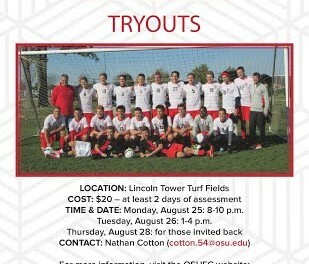 For the most up-to-date information, like us on Facebook and follow us on Twitter (@OSUFC).